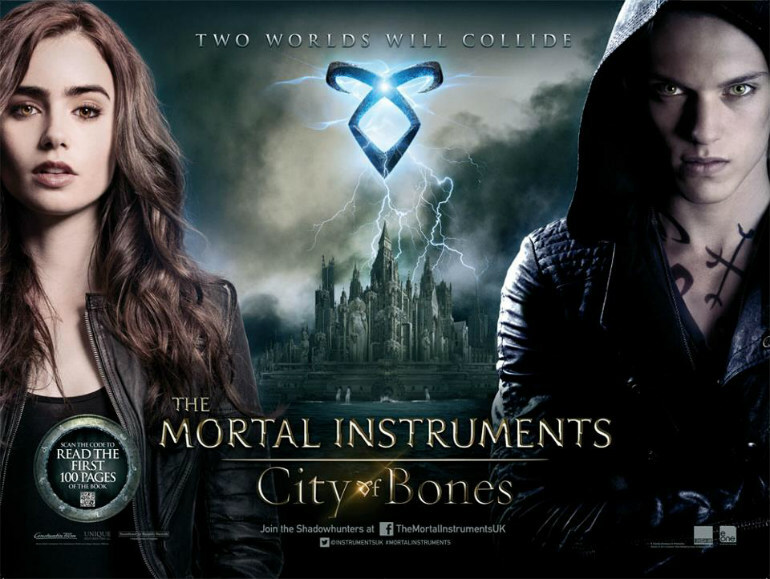 The Mortal Instruments is a series of books written by Cassandra Clare. Even though I always see it in book stores near me, I've never want to read it. This is because I thought this series would be similar to Twilight, with more romance element than fantasy. But when the movie came out, I decide to watch it. I have nothing to do anyway. Moreover, one of my favorite actor - Jonathan Rhys Meyer-, is in the movie. Now I will tell you my opinion about it. Honestly, this movie is quite good, made me want to at least borrow the books.Well, even though I have many "meh" moment when I watch it. The premise is interesting enough. Even though I would say that the premise of Harry Potter and Percy Jackson are more engaging. The evil here is a shadowhunter named Valentine Morgenstern who want to cleanse the world from downworlders (wereworf, warlock, etc). A little bit remind me of Voldemort (since he want to cleanse all wizard that was born from muggles). The fantasy element in this movie is entertaining enough but the romance is lame. The romantic scene between the main character, Clarys and Jace, is without passion or chemistry (that's why I go "meh" in several scenes). But for spending your spare time, for me this movie is not a bad choice. That's it. How about you?